Hey everyone, Peter Martin, the “webdoc” here. Today we’re going to talk about the importance of backing up your computer files. If you don’t back up your files on a regular basis, you could lose everything that you store on your computer. A lot of people don’t realize that your hard-drive has a shelf life. Computer hard-drives only last 5 years, and laptop hard-drives only last 3. After that amount of time, it is more likely that you will experience a hard-drive crash. This results in a loss of everything that you don’t have a copy of. It’s very costly to try and have someone recover your files off your failed hard-drive in order to put it on your new computer. But if your files are already backed up, it’s simple to just stick them on it. If you are a business owner, I recommend backing up those files at least once a week. For regular home computers, once a month is good. 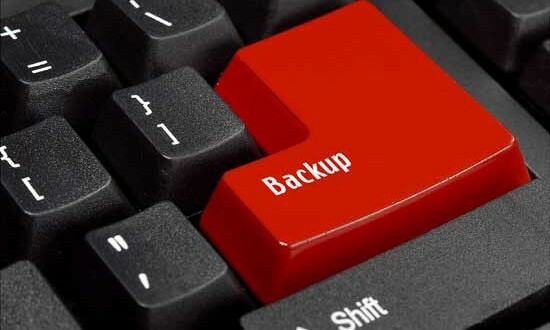 There are several ways you can backup your computer. The first way is by using a small drive, such as this one. This will run you a couple hundred bucks. It comes with a USB cord so you can hook it right to your computer and copy everything that you need saved. What I like about this drive is that you can backup multiple computers and just put it in the carrying case and take it with you. This is good in case there’s a flood or something at the office. You can also use a simple small drive called a flash drive to save your files and pictures. A lot of these come with little key rings attached so you can always have it with you. This is also good for traveling. The last way you can backup your files is online. This runs you around 59 dollars a year. You sign up on the website and it will automatically back up your files every week. What it does is it looks into your computer and automatically backs up everything that is new or changed. This is very good for people who aren’t so tech savvy or don’t have a lot of time to spend to copy files. Carbonite is the most popular online file back-up site. I do urge you to be cautious of this method if you have a slow connection though because it could bog down your computer. Set it to backup during times that you would be sleeping so you don’t get frustrated with slow internet speeds. For more details on how to back-up your files, and to see my recommendations for products, visit me online.